This resource contains a collection of Java best practices and tips provided by our Toptal network members. As such, this page will be updated on a regular basis to include additional information and cover emerging Java techniques. This is a community driven project, so you are encouraged to contribute as well, and we are counting on your feedback. Java is one of the most portable languages, as with Java it is possible to build a highly distributed web application, a sophisticated desktop application, or even a powerful mobile application running on a handheld device. Check out the Toptal resource pages for additional information on Java common mistakes, a Java hiring guide, Java job description and Java interview questions. When you add two string in a loop (for, while, do-while), concatenating them using the + operator causes wastage of memory and increases performance time. This is because a new String Object is created each time a new String is added. 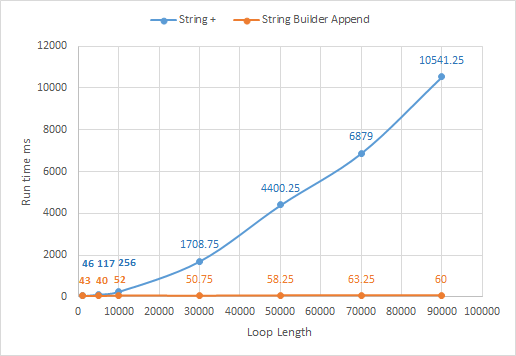 Instead, the best practice is to use a StringBuilder class. As we can see, Java used an internal StringBuilder, and in the loop, two operations are executed each time. As we can see, the results confirm the original assertion. To learn more, Laurent gave a detailed explanation of the process using the disassembled bytecode in Java 8. 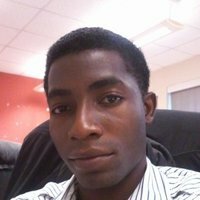 Akinola is a Java and Android enthusiast, and a freelance developer with over three years of experience. Java, as a strongly typed language, provides a generic type system. Designing how your classes will make use of generic types could be hard and tedious, but it offers significant advantages. The resulting code is cleaner since you will no longer need most cast operations. Also, the code will be safer, since more type validations will be done at compile time, thus avoiding ClassCastException errors at runtime. But, as said before, generic types could be complicated. As generics is a big topic, reading additional Java documentation is a good idea. Let’s start explaining the meaning of variance. In object-oriented (OO) programming, it is natural to think of superclasses as more generic types than subclasses. We can think of superclasses as “bigger” types since they could include more classes than specific subclasses. For example, java.lang.Number, could be considered as a bigger type than java.lang.Integer, since it can also contain java.lang.Double, java.lang.Float, and so on. While this is quite simple in the standard OO inheritance, it could become a little harder when dealing with more complex type systems, such as the one defined by Java generics. Specific concepts needs to be defined to specify which type is bigger than the other. According to Wikipedia, four categories can be used: * Type A is covariant to B if A >= B. This mean, a variable of type A can hold instances of B. * Type A is contravariant to B if A <= B. This is almost the opposite to previous point. * A type is bivariant if it is both covariant and contravariant at the same time. This is not supported by Java. * A type is invariant if it does not fit on any of the previous definitions. But what happens if we need to use a more generic or more specific type parameter? Here is where extends and super keywords come into play. This is valid because, even when the compiler does not know exactly which class is parameterized, it knows that it must be a Number subclass. So, any method found in this class can be called. In a similar way, the super keyword indicates that the class parameter could be any superclass of the specified one. Note that rawList lacks a generic type definition because it is a raw type. The use of raw types is discouraged because it could lead to problems similar to the ones that could happen when working with arrays. The following line of code is valid but will produce a java.lang.ClassCastException exception. The reason to do this is type erasure. As explained before, Java removes generic information from method parameter types, but it is kept when subclassing, and thus is available through reflection. This is because information about type parameter IWeapon is maintained at runtime when making the call to the Bind method. Lautaro is an architect and developer with wide experience in many platforms and languages. Currently, the languages where he performs best are Java and Objective-C, and he also has experience leading development teams. As a part of the “fail fast” approach, public methods should always validate input parameters before executing any logic. This way, you avoid getting an error later, where the cause is harder to find. An advantage of using assertions is that they can be disabled at runtime to avoid any performance impact in a production system. In a similar way, you could use Preconditions.checkState(…) to validate post conditions, which throws an IllegalStateException. For a full list of precondition methods, check the Guava documentation. Checking for parameter nullness is a particularly useful case for precondition validation. It is a good practice to check all the parameters that must not be null. Another good practice is to mark nullable parameters with javax.annotation.Nullable annotation. This way, your code is more readable. Adding Nullable annotation to methods that can return null values is also a good practice. If you are using Java 7 or beyond, you can use Objects.requireNonNull(…), which has the same functionality. Utility classes are classes that are not intended to be instantiated. Instead, they typically provide static methods for generic functionality, and they are like global functions in OOP. So, if you are writing too many utility classes, you should review your coding design. However, sometimes you will need to write some utility class, a good example being generic functions. Another example is internal Domain Specific Languages (DSL). When implementing a DSL in Java, you typically don’t follow OOP principles and write classes with static methods, since the goal is to make syntax shorter, rather than reusable components. Make the constructor private. This way, the class can’t be instantiated. Make the class final. Even when a private constructor will restrict instantiation in subclasses, somebody could create a subclass and add more static methods. Create utility classes that are cohesive according to the functionality provided by their methods. Generic names like MvcUtils or CommonUtils usually lead to a bad design. In Java, an object can be either mutable or immutable. Being mutable means that object state and variable values can be changed during its lifecycle, while immutability means the opposite; the state can’t be changed once the object is created. It is important to remember object mutability could be a problem; it might become hard to track where and when the object state changed since many variables can point to the same instance. Because of this, you should avoid mutability when possible. This way, the Java compiler forces you to set a value in the constructor for each final field. Even if you have more than one constructor, the compiler will track all the paths to ensure that final fields will be initialized. Dependency injectors, like Spring or Guice, allows you to implement different injection models, by using setter, field, constructor. To keep object immutability, it is better to use constructor-based dependency injector. Luckily, Java 7 and Google Guava provide utility classes for making such tasks easier. Java 7 provides two static methods: Objects.hash() for building hash codes and Objects.equals() for comparing objects for equality. Objects.hash() computes a hash code from the hash codes of the objects provided as arguments. Objects.equals() compares two objects, making all the nullness validations to avoid NullPointerExceptions. As stated, if you are using a pre-Java 8 version, you could use Guava’s com.google.common.base.Objects class, which provides similar methods. Write Javadoc comments for each public class and method (maybe setters and getters could be omitted). Avoid irrelevant and obvious comments. A comment saying “sets the name” on a setter provides no extra information. Explain the class purpose and its behavior. Explain the method contract and what is the expected behavior. Which input parameter values are valid? What values can be expected as output? Under which scenarios exceptions will be thrown? A good approach is to document pre and post conditions. Use meaningful, self-documenting names for classes, methods, and variables. Reflection is a cool Java feature as it allows querying for class structure and dynamically making calls to methods, object instantiation, or setting field values. This feature is widely used in frameworks and libraries to build generic code that works in different classes. Having the ability to execute code dynamically is powerful. However, if you use too much reflection in your code, you could jeopardize the code maintainability. Consider the following simple example: You need to copy fields from one Java Bean to another that has fields with the same name. // Nothing to do, setter does not exist. At first sight, this seems like a good idea. You can use the same logic for copying values in different classes. But what happens if, in the future, you need to copy only some fields? A viable option here is to add annotations to getters, but that would add unnecessary complexity. Even worse, what happens if in the future you need some type of data conversion? What happens if you change a field in the source, but you forget to add it to the target? This approach has the advantage of being simpler, more readable, deals with fewer exceptions and maintains compile-time checking for method names. And it is more flexible since getters and setters don’t need to have the same name. First generation dependency injectors, such as Spring, used XML-based configuration plus reflection to set-up components, thus losing compile-time type checking. Later, more advanced injectors such as Guice and Dagger added Java-based configuration, to add more compile-time checking, but the reflection was still used. Dagger 2 utilizes a 100% code generation based approach, eliminating the need for reflection and providing compile time validations for injector set-up.